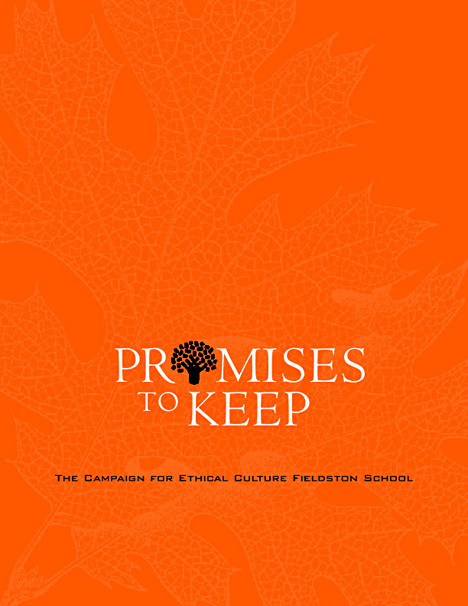 Ethical Culture Fieldston School (NY, NY) is one of the best known progressive schools in the country with a rich and remarkable history in education and in the city of New York. In some corners, however. amidst the politicizing of education, the word “progressive” had taken on a constellation of other meaning far removed from the values of the school or its pedagogy at the time of this campaign. 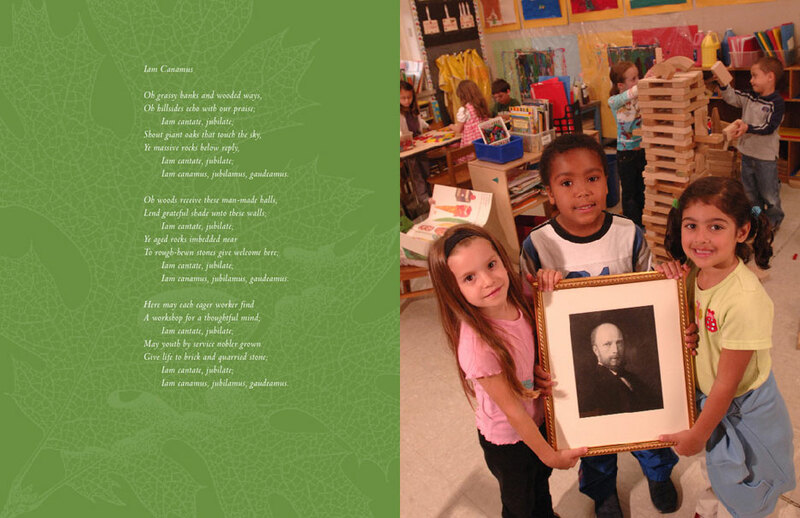 One of the goals of our work for this school was to go back to the roots of progressive education, which are so much a part of the school’s history, and shed the troublesome barnacles it had acquired. Fieldston’s aim has always been to make the world better and fairer through education. This goal is quite different from that of the more common goal of educating people to be successful. 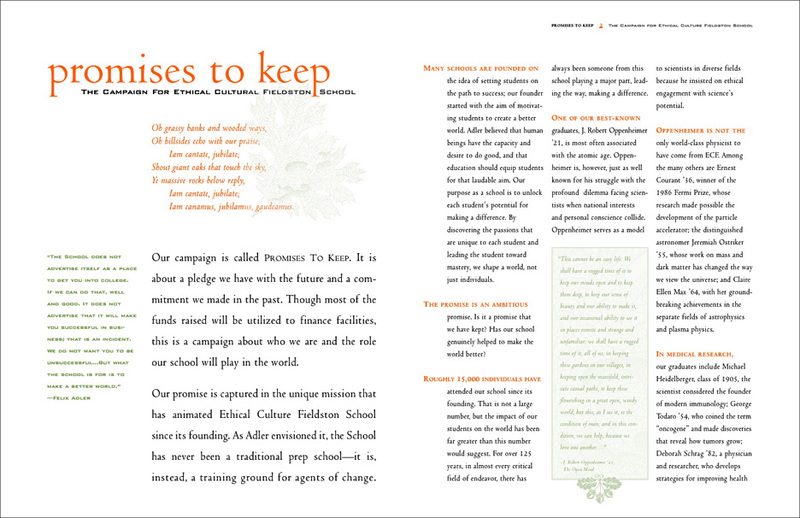 This case statement for the Ethical Culture Fieldston School reminded people of what it means to be a progressive school and created intense pride among its graduates. Never a school to tout its own horn, Fieldston’s Case Statement instead reveals the extraordinary impact its graduates have had on the world and in the city of New York and makes a powerful case for support.